Prior to announcing the U.S. pull-out of the Iranian nuclear deal in May, the White House had secured assurances from producers, namely Saudi Arabia, that any disruptions in Iran’s exports would be offset by higher production by countries with spare capacity, according to Treasury Secretary Mnuchin. 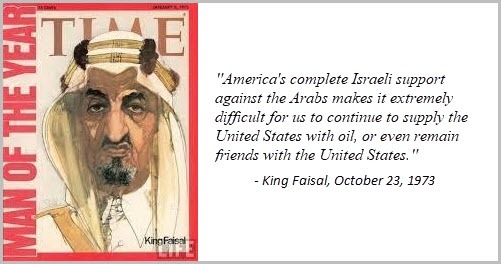 The Saudi energy minister confirmed it. "Don't worry about supply," UAE Energy Minister Suhail bin Mohammed al-Mazroui, the current OPEC president, said, OPEC has an adequate "buffer" of potential output to cushion oil markets if the U.S. re-imposes sanctions on Iran. Saudi Arabia and Kuwait are also planning to re-start production from the Neutral Zone at some point in the fourth quarter. Output in that region could be about 550,000 b/d. 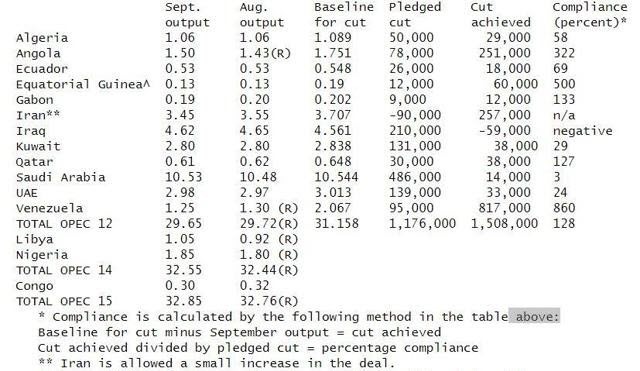 Reuters estimates for September do not back-up what MbS has claimed. I believe he may be referring to what is happening in October and what may happen once the sanctions go into effect in early November. Iran's Oil Minister Bijan Zanganeh said the claim by MbS that KSA could replace Iran's crude exports was "nonsense." And the most recent reports show that India has been ramping-up its Iranian purchases while ramping down oil purchases from the United States. Purchases of U.S. oil fell by 75 percent over the summer. India’s purchases of Iranian oil rose to 502,000 b/d in September, up 84,000 b/d from August. Two Indian companies have ordered Iranian shipments in November after the U.S. sanctions go into effect. China which also increased shipments from the Middle Eastern country by 29,000 bpd to 620,000 bpd. China has reportedly cut its purchases of American crude oil. No doubt the discounts be given to buyers of Iranian crude will be large enough to keep exports flowing. Chinese and Indian buyers are likely getting a deal they cannot refuse. 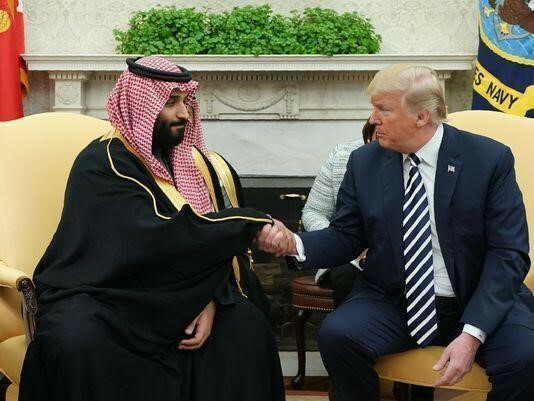 I seriously doubt the Saudis are misleading President Trump. I also seriously doubt Trump does not have the oil market under control. With the midterm U.S. elections to be held in about four weeks, the Saudis will be under a lot of pressure to keep the world oil market well-supplied. If MbS claim that Iran’s loss is being and will be offset proves to be true, which I expect, the risk premium built into prices since the May announcement should largely disappear. WTI crude futures should trade back in the $60-$65 range. Those betting against Trump and the Saudis should take notice. The Trump Administration can also manage the demand for Iranian oil by granting waivers, and a government official said on Friday that they are considering requests for waivers. Finally, the president can order a drawdown from the Strategic Petroleum Reserve, if there is a shortfall in supplies. Oil can be in the pipeline in a matter of days if ordered.